The economy will continue to grow at above 3.6% in the medium term. 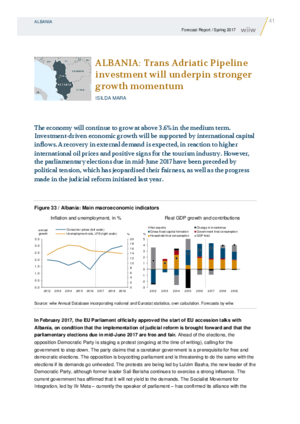 Investment-driven economic growth will be supported by international capital inflows. A recovery in external demand is expected, in reaction to higher international oil prices and positive signs for the tourism industry. However, the parliamentary elections due in mid-June 2017 have been preceded by political tension, which has jeopardised their fairness, as well as the progress made in the judicial reform initiated last year.